This entry is part 5 of 7 in the series Eat Wallonia. 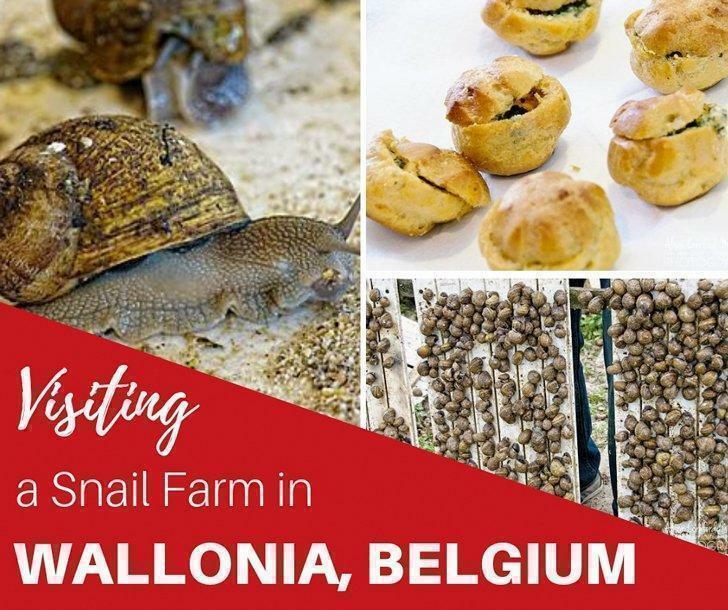 For a fun family day trip in Wallonia, Belgium, visit L’Escargotiere de Warnant, a snail farm producing one of the world’s most sustainable foods. When you think of farming in Belgium, you probably picture rolling fields of corn or maybe flat pastures filled with cows. 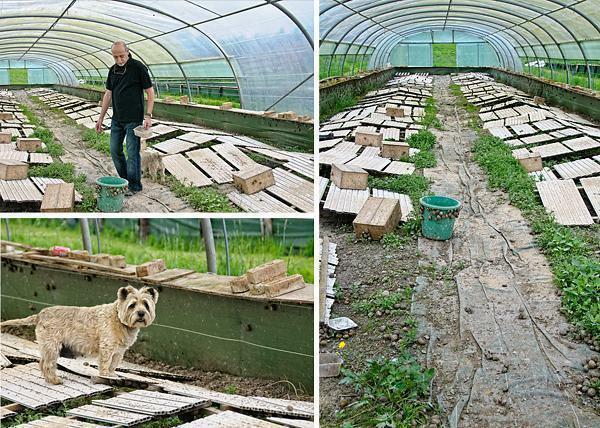 You probably don’t imagine plastic greenhouses filled with planks of wood. 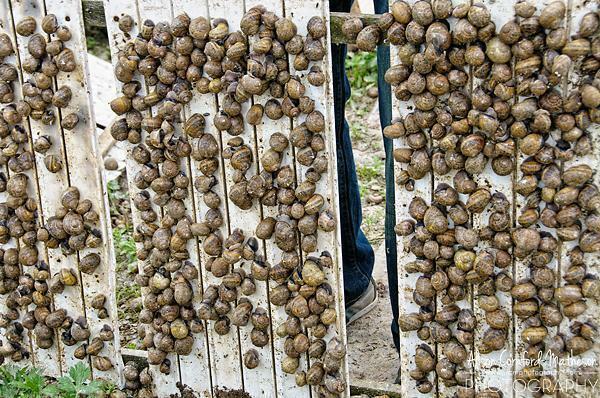 But under those planks grows one of Wallonia’s most sustainable food sources – snails. Our visit to the Escargotière de Warnant was the most talked about item on our foodie tour of Wallonia. In the car, driving to the snail farm, we all wondered what it would be like. I don’t think any of us expected what we found. 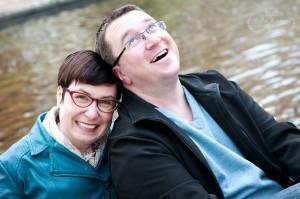 Eric explained, when he was studying agriculture in university, he was interested in sustainable food sources. While writing his thesis, he discovered snails are one of the most sustainable forms of protein. At that time, there were a few people raising escargot in France, but there were no snail farms in Belgium. 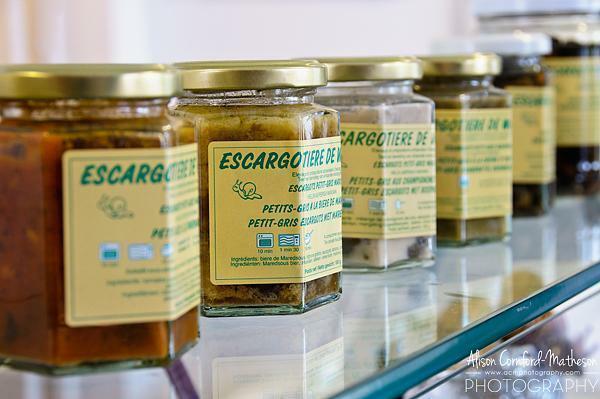 So, the Escargotière de Warnant was born and remains the first of only three snail farms in Belgium. We begin our tour inside, where we can see some of the snails up close and personal. Eric even shows us some teeny-tiny baby snails. He produces over 600,000 snails per year, most of which he sells directly to restaurants. Heading outside we see several large, plastic greenhouses. Peeking inside, there is not much to see – at first. Eric lifts one of the many boards lined up on the ground, and we see hundreds of fat snails sticking to the underside. Snails like the cool shade of the boards and stay mostly hidden until nightfall. Nighttime can be dangerous for the snails, however, as that’s when their only predator appears – rats. One rat can devastate a snail colony, so Eric has a ‘night-watchman.’ Well, actually it’s a night-watchdog; a little terrier who patrols the greenhouses at night. 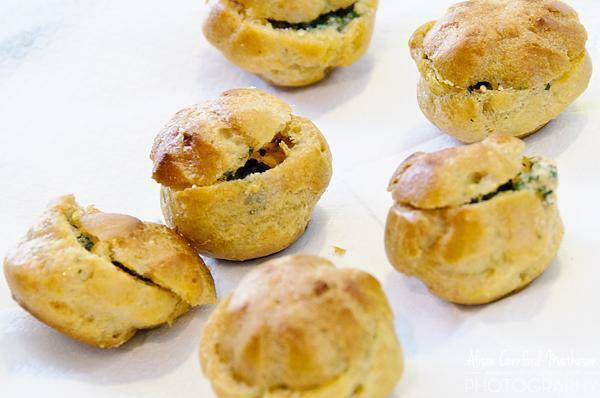 We had a taste of the escargot profiteroles. With pastry, butter, and garlic, how can you go wrong? You can tour the Escargotière de Warnant from the 1st of April to the 30th of November, every Saturday at 4 pm. 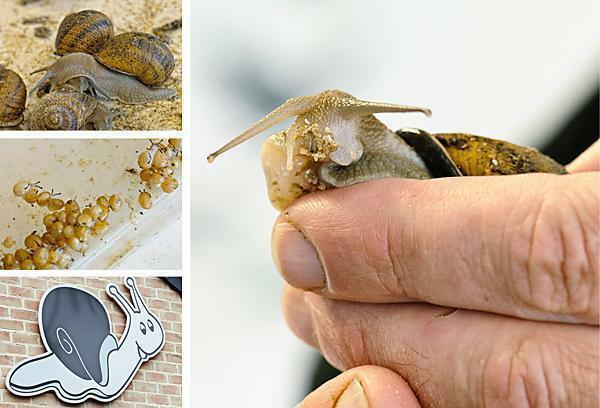 In July and August, you can see the snail farm in action from Tuesday-Sunday between 2pm-6pm. It’s a fascinating look at what could be the food source of the future.